Actress Tina Philip is best remembered for her character Aastha in Star Plus' show Ek Aastha Aisi Bhee opposite Kanwar Dhillon. The talented lass has now bagged a meaty role in Star Bharat's upcoming show Meri Biwi ka Sasural. The show is produced by the producers of shows like Badho Bahu and Laal Ishq. 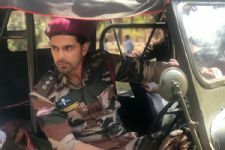 The show will feature Zain Imam and Tanvi Dogra in lead roles. The news was rife about Tanvi being paired opposite Zain in the show, but the latest we hear is that Tina Philip has been roped to play the lead opposite Zain. Though, Tanvi will also be seen in an important character. According to media reports, Tina will be paired opposite Zain in the show. The show will also feature Ishqbaaz fame Shrenu Parikh and Shrenu will apparently be seen as Tina's elder sister in the show. As far as we know, Shrenu will play the lead antagonist in the show. We are looking forward to watch the show, are you? Let us know in the comment section below. Not interested in this show at all. We want Aditi Rathore to act opposite Zain. Otherwise no to this show.